You know those classic lamps that we have on our desks? Now imagine them huge. 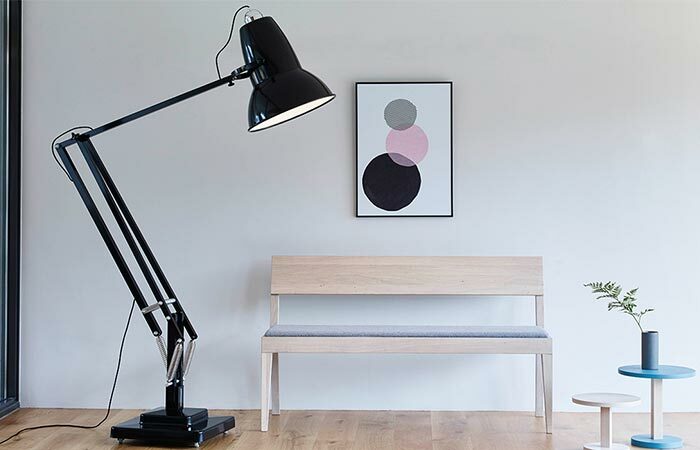 Anglepoise did just that with their Original 1227 Giant Collection. 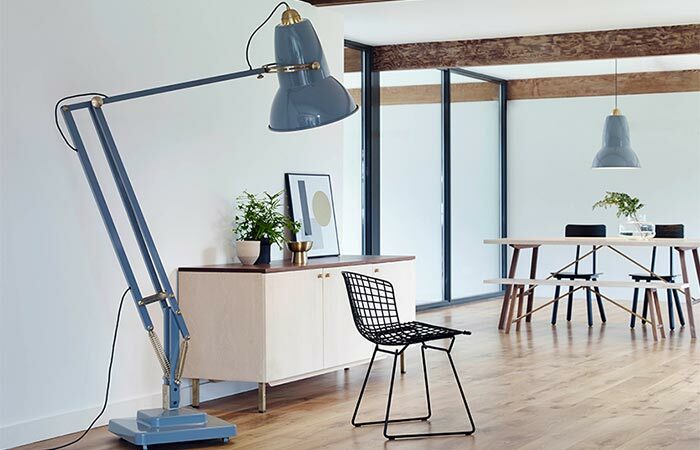 This collection includes lights for both indoor and outdoor use, as well as a solid brass lamp and the giant version of their best-selling Type 75 desk light. The standard indoor lamps can be placed on the floor or can be mounted on the wall. They are a great minimalistic addition to your living space and in some ways, look just like sculptures. They are white inside to maximize the light output and feature a metal chrome shade cap. Just like the rest of the lamps in this collection, they come in 15 colors. You can place this indoor lamp on the floor, but also mount it on the wall. The lamps are specially reengineered for the outdoors as well. Their material constitution is slightly different as they shouldn’t rust when used outside. They feature marine-grade stainless steel fittings, silicone rubber cable and sealed light unit. You can mount them on the wall, or place on your garden terrace. 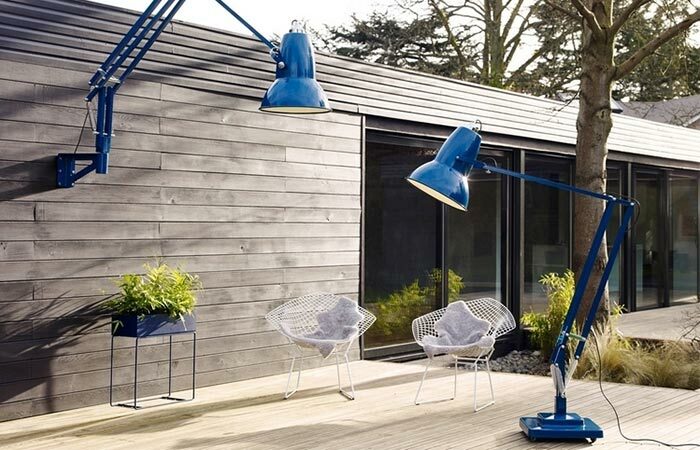 The outdoor version of the lamp is made from marine-grade stainless steel. Just like we mentioned, the collection also features brass lamps that look a bit more luxurious when compared to the rest of the lamps. 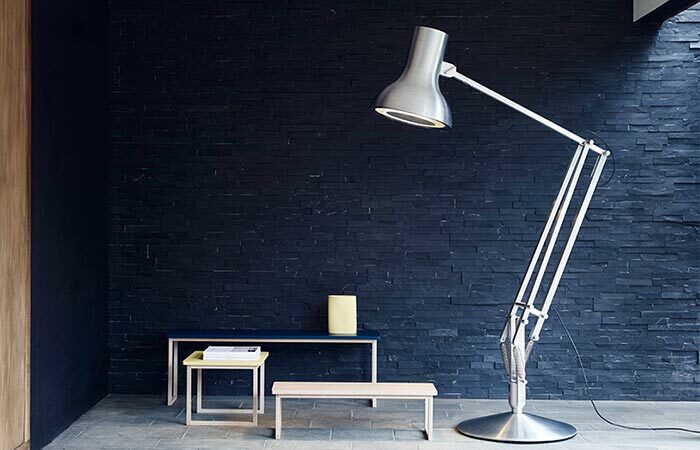 What Anglepoise also included in this collection is the Type 75 lamp, but of course, in giant proportions. This one probably looks the most modern, with its simple yet timeless style. The Original 1227 Giant Brass Lamp. The Giant Collection will be launched in May, for the North Americans, and orders will be available from June 2016. The price is yet to be confirmed and as for the delivery, you should expect around 8 weeks. The giant version of the Type 75 lamp.